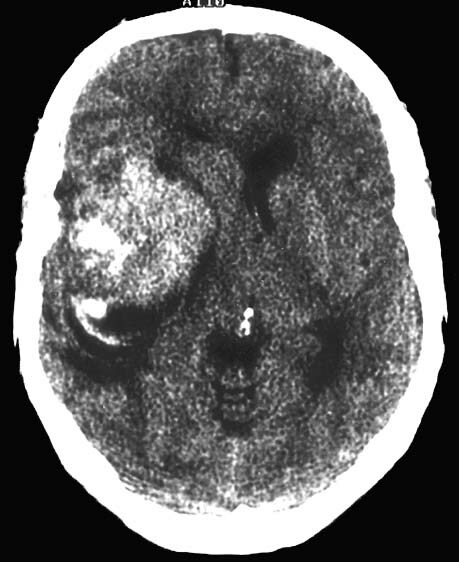 A 44 year-old, male, electrical contractor presented with a three-month history of progressive headache and a two-week history of left-hand clumsiness and mild speech impairment. The morning of admission his headache worsened, he became drowsy and developed weakness of the left side of his body. On admission the patient was sleepy but arousable and oriented. There was evidence of left-sided hemiparesis, otherwise his general physical exam was unremarkable.